Thanksgiving is a time for families, a time to love, to give, and a time to reflect on the things that matter most in life — each other. The same is true of our Union family. It’s also a time to take stock of the past year. 2017 has been a year unlike any other. But we’ve made gains and built a stronger AFSCME Ohio Council 8 that’s ready to brave the coming tests. And we have done it all as a family, as a Union. With many forces working against us, we have continued to organize new members, represent you on the job and bargain strong contracts. 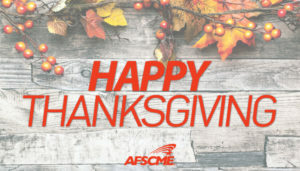 We should also be very proud of our success making our union AFSCME Strong. Next year AFSCME will face a hostile U. S. Supreme Court set to make right-to-work the law of the land for public employees. And to the Nation Labor Relations Board will continue tear down private sector worker rights. With the strength of our members, activists, retirees, and our local union leadership, our Union will continue to take on the challenges facing Ohio’s working families. We’ve always stuck together and looked out for each other and I am confident we will continue to do so. We all have much to be thankful for. First Vice President Harold Mitchell and the Ohio Council 8 Executive Board join me in thanking you for the work you do. 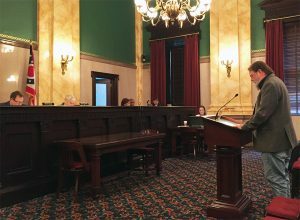 Instead of a balanced approach to fill the state’s $800 million budget deficit, Ohio’s Republican controlled legislature decided to cut their way out of the problem, ”which included taking a third of our paid sick days away,” said AFSCME Ohio Council 8 Political and Legislative Director Robert Davis. “Thanks to your calls and AFSCME’s lobbying at the statehouse, the proposal which started out aimed only at state university employees but soon grew to include all public employees, was pulled from the budget’s final version,” Davis said. According to the bill’s backers paid sick days are nothing more than “perk” enjoyed by public employees. “Just tell that to all the working moms and dads who depend on sick days to keep their families – and everyone else healthy,” said Jamie Shumaker, president of AFSCME Local 2191 at the Columbus City Health Department. “Even with a vaccination, my son became ill after being exposed to whooping cough. Pertussis is an extremely contagious and Ohio law requires a week-long in-home quarantine. “It can come as a real shock to many that not only is the child quarantined – but the parents are too. Without the strong sick leave benefits in our AFSCME contract, I would have lost a week’s pay,” she said. In addition to whooping cough, there are dozens of other contagious diseases that must be reported to the Ohio Department of Health Shumaker said. “Because of our union contract we can focus on taking care of our loved ones and not worry about losing pay or our jobs,” she said. 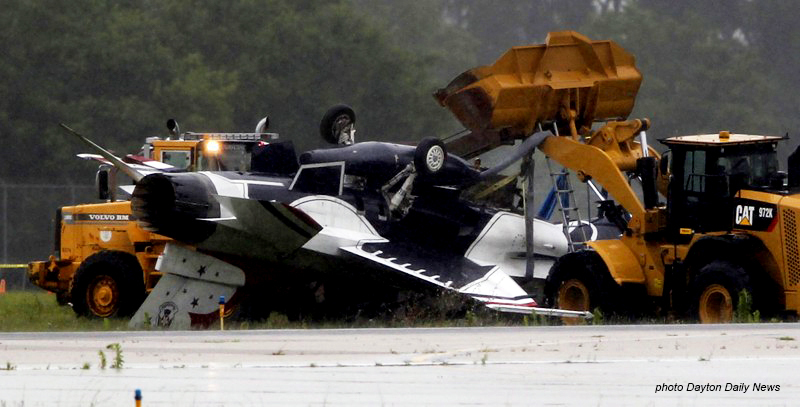 When an Air Force jet fighter slid off a wet runway and flipped over while practicing for an air show at the Dayton International Airport, AFSCME Local 101 members jumped into action. The F-15 fighter was part of the U.S. Air Force Thunderbirds which were set to perform at the nation’s premier air show, an annual event held at the city’s airport. “Our airport Field Operations, Aircraft Rescue Fire Fighters, and airport police were immediately on the scene. After two hours toiling in the rain they freed the two crewmen who, thankfully, were not seriously injured,” said Ann Sulfridge, President of AFSCME Local 101 which represents over 2,100 members in the Dayton region including 180 airport employees. AFSCME Local 101 City of Dayton Blue Collar Chapter heavy equipment operators DJ France, Chris Hess, Ed McCormick, and Josh Saylor worked skillfully to turn the $18 million aircraft back over and help free the crew. 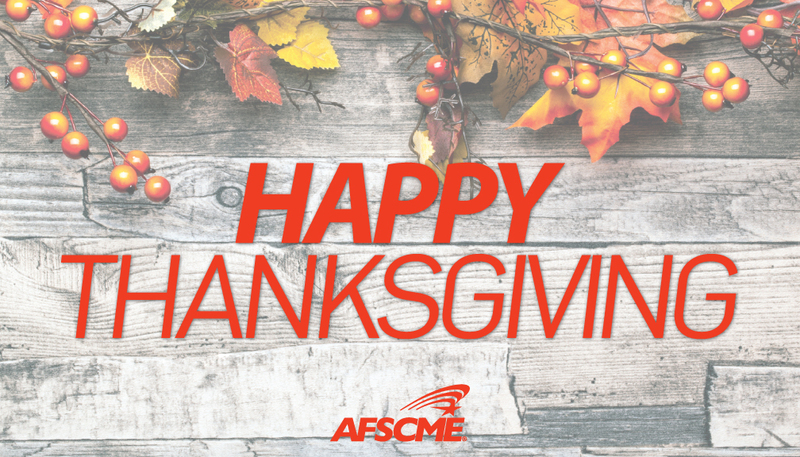 “Like all AFSCME members, these public employees never quit – they are everyday heroes – and more,” Sulfridge said. The Dayton International Airport serves more than 1.1 million passengers each year. The city is also home to nearby Wright-Patterson Air Force Base. Attendance at the two-day air show tops 80,000 spectators. As you all know, the health care debate is heating up again in the Senate and we wanted to be sure to send you an update as well as a flyer that you can use with members with a toll free number that can be used to call Senators. Senate Majority Leader Mitch McConnell (R-KY) is bearing down to finalize a health care bill and move it to the Senate floor. The Senate bill will largely track the House bill, but McConnell is negotiating with Senate moderates and conservatives over some details on Medicaid, in order to nail down his votes. Below is a summary of where we are with process and timing, policy, and the politics, and also next steps. McConnell is trying to get the policy nailed down so that it can be sent to the Congressional Budget Office (CBO) early this week for an official estimate of the impact on the federal budget and the number of people who will lose their coverage – in fact we are hearing reports that CBO received policy today. CBO will need ten days to two weeks to score the bill. Once there is a CBO score, the bill can be put on the floor. McConnell wants to hold the floor debate during the week of June 26. One area of negotiation is over how quickly the bill ends the Medicaid expansion. Conservatives want the expansion terminated in 2020, moderates want it phased out over a few years, beginning in 2020. The bill will include the Medicaid per capita cap funding structure, but there is a question over the annual adjustment. The annual adjustment will be lower than the increase in health care costs, but it is not clear how much lower. The bill may have more generous tax credits for older people buying Affordable Care Act coverage in an exchange. But, the tax credits for young people may be reduced. The Senate bill may keep community rating rules that prohibit plans from charging people with pre-existing conditions higher premiums. But the Senate bill would allow states to waive essential health benefit requirements, allowing insurance companies to screen out sick people by excluding certain benefits. The bill may create a pot of money for opioid treatment, but it won’t make up for the millions who will lose their health coverage. Three Senate moderates stated this week that they are willing to go along with an end to the Medicaid expansion, if it is phased out gradually between 2020 and 2024. Those Senators are Dean Heller (NV), Rob Portman (OH) and Shelley Moore Capito (WV). This has created a boost of momentum for McConnell. He doesn’t have the votes yet, but a deal is more likely. There are 52 Republicans in the Senate. McConnell needs 50 of their votes, plus the tie-breaking vote of the Vice President. You can use the attached flyer and toll free # to encourage members to call their Senators. Below is the target list we are working with but even Democratic Senators need calls to thank them for their support in protecting ACA and Medicaid. The communications department will be pushing calls via text to targeted Senators this week and we are increasing our activity on social media. Call Sen. Rob Portman today and tell him to vote NO. From the Columbus Dispatch. Tuesday, June 13, 2017. 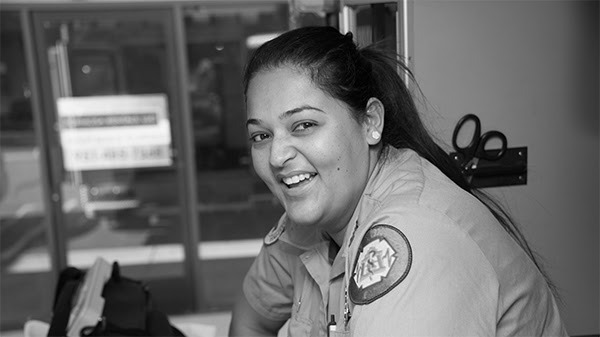 Pat Waller is on the front lines of our health-care system. As a labor and delivery nurse at O’Bleness Hospital in Athens, she has devoted her career to taking care of pregnant women and infants. Pat — who is a member of the American Federation of State, County and Municipal Employees, the union where I serve as president — has seen firsthand the powerful difference that the Affordable Care Act has made in the lives of people in her community. She estimates that 60-70 percent of patients at O’Bleness have coverage thanks to the Medicaid expansion under the ACA. Throughout Ohio, the uninsured rate fell from 12 percent to 6 percent between 2013 and 2015, the period when people began enrolling in the ACA exchanges. But back in Washington, DC, politicians are working overtime to take away that coverage and undermine Pat’s work. In early May, the House of Representatives voted narrowly to approve a bill that would repeal the ACA and replace it with a plan that would make the health care system significantly worse for working families. According to an analysis by the Congressional Budget Office, 23 million people would lose their health insurance, nearly 540,000 of them in Ohio. Protections for people with pre-existing health conditions, a cornerstone of the Affordable Care Act, would be eliminated. So if you have high blood pressure, or if your child has asthma, insurance companies can price you out of the market. The congressional health-care bill also cuts a staggering $834 billion from the Medicaid program, which serves low-income pregnant women and children, people with disabilities, senior citizens requiring long-term care and more. And in Ohio and elsewhere, as Pat points out, Medicaid dollars are also essential to addressing the growing opioid addiction crisis. The new budget proposal from the Trump administration piles on another $611 billion in Medicaid cuts. All told, the program — which 1 in 5 Americans depends upon for health care — would be slashed nearly in half over the next decade. Meanwhile, millionaires and large corporations would be in line for a huge tax giveaway. Shrinking Medicaid would also have a domino effect. If the federal government is contributing less to the program, the states would have to pick up the slack, which could mean less investment in schools, law enforcement, transportation and other public services we all depend on every day. In Athens, these cuts could be devastating. Not only would far fewer residents have health coverage, but Medicaid also represents a key revenue source that sustains the hospital where Pat Waller works. O’Bleness is the only facility within a 45-minute drive that delivers babies; plus, it is a community anchor and one of the county’s largest employers. Pat worries that Medicaid cuts will lead to layoffs, shattering the local economy and leaving her patients without access to care. But there is still time to derail these plans. As of yet, none of these cuts have become law. The ball is now in the court of the U.S. Senate, where Ohio Sen. Rob Portman, a Republican, is playing a key role in drafting a bill. Portman has not said where he stands on the House plan to cap the Medicaid dollars that the federal government gives to Ohio and thus end the program as we know it. The time is now for Ohioans to let him know they want to protect the Medicaid program that helps so many of their neighbors live with health and dignity. Let’s see if Portman and the rest of the Senate are listening. Lee Saunders is president of the American Federation of State, County and Municipal Employees, AFL-CIO, a union of 1.6 million public service workers and retirees. Lima City Council voted to approve a new contract with AFSCME Local 1002 which increases wages by 6.5 percent over the life of the three-year deal. The new agreement includes an across-the-board first-year pay increase of a 2.5 percent, and additional 2 percent increases in 2018 and 2019. The agreement also includes an increase in the uniform allowance, extends the shift differential to employees that work Saturdays and Sundays, and includes a $900 signing bonus. “We could not have done it without a strong bargaining committee,” said Adam Maguire, who led the negotiations. “They stayed ‘AFSCME Strong’ and never quit. They’re a great team,” he said. The contract covering more than 100 city workers is retroactive to the beginning of 2017. 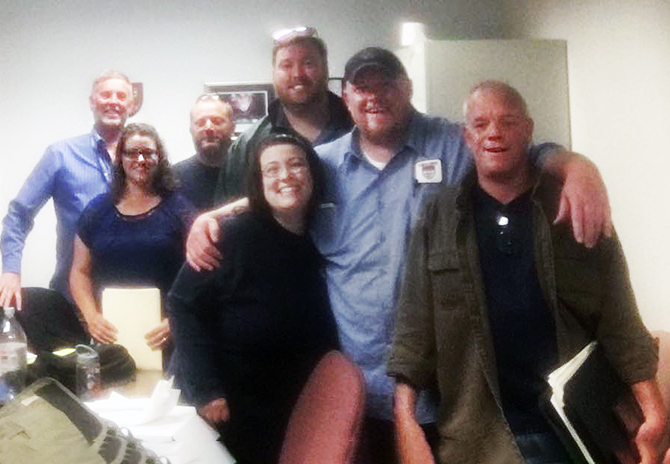 The Local 1002 negotiating committee. “The political fig leaves that were added behind closed doors to garner votes do nothing to change the facts of this bill. It will still leave at least 24 million Americans uninsured, still cut Medicaid in exchange for tax handouts for corporations and millionaires, still cause costs to skyrocket for older Americans and still eviscerate the protections for people with pre-existing conditions that are guaranteed under the Affordable Care Act. ACA Repeal is looming: Here’s what you can do. It’s not over til it’s over. Reportedly by this Wednesday Republicans in Congress are set to take another vote to repeal the Affordable Care Act. Each “replacement” gets worse than the last repeal and replace attempt. This bill still takes coverage away from 24 million people and still cuts $880 billion from Medicaid. And it breaks a key promise by eliminating protections for people with pre-existing conditions. Three moderate Ohio Republicans are being pressured by top conservative leaders, including President Trump and Vice President Pence, to vote yes on the bill which will be up for consideration before next week’s Congressional recess. Call or e-mail Ohio US 6th District Representative Bill Johnson, 7th District Representative Bob Gibbs, and 14th District Representative David Joyce, today. Their information is below. Tell them to do the right thing and vote no on the latest repeal and replace plan that will hurt Ohioans. We will remember in November. 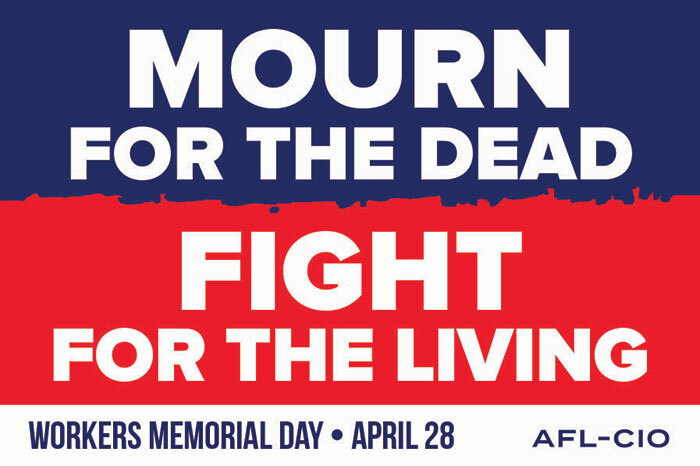 Today, on the 46th anniversary of the creation of the Occupational Safety and Health Administration (OSHA), “AFSCME Ohio Council 8 joins all of labor remembering those working men and women who have lost their lives on the job,” said Ohio Council 8 President John A. Lyall. On April 28, 1971, OSHA was given responsibility for establishing safe and healthful workplaces for all workers – “except public employees, who were specifically excluded,” he said. 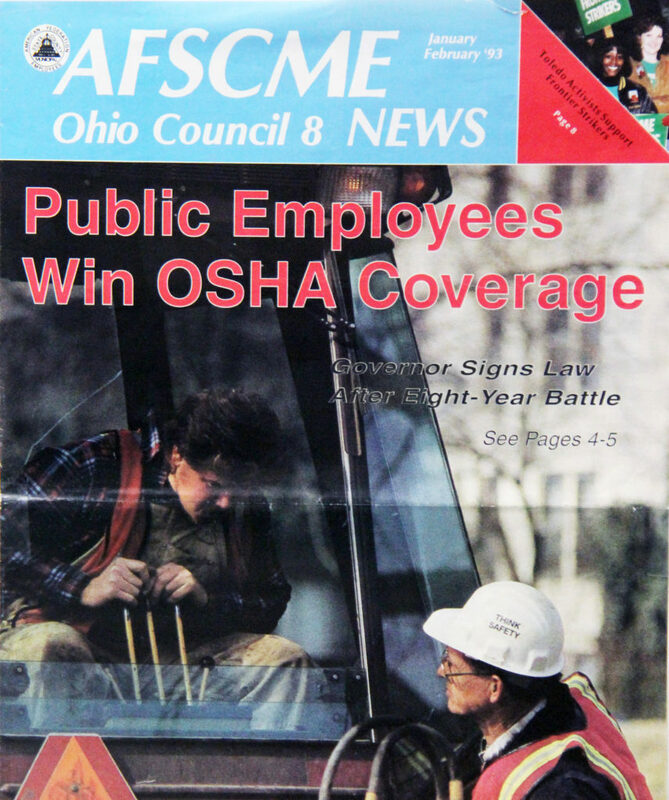 “It would be another 23 years and many lives lost before Ohio’s public employees won the right to a safe workplace. And it was AFSCME that led an eight-year battle that finally won a state job safety law in 1993,” Lyall said. With no legal responsibility to provide worker training and safety equipment, safety was an after thought. This led to thousands of injures and the on-the-job deaths of about 20 public employees every year. The new law gave Ohio’s public employees the right-to-refuse unsafe work if they reasonably believed they faced imminent danger or death. Prior to the law workers were routinely disciplined or fired for refusing to perform clearly hazardous work. Ohio Council 8 Political and Legislative Director Robert Davis stressed that OSHA is part of the Labor Department, which is why President’s nominee for Secretary of Labor and his proposal to cut 20 percent of the department’s budget is so critical. “It’s not just politics, it’s a matter of life and death for working Americans. We all need to pay attention and raise our voices for safe jobs,” said Davis. Healthcare — These programs will get you started in this dynamic, growing field!